View More In Snow Globes - Page 6. 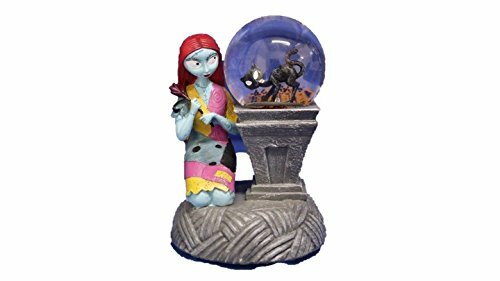 THE NIGHTMARE BEFORE CHRISTMAS " SALLY " LIGHT UP / MUSICAL WATER-GLOBE SNOW GLOBE FIGURE 8" X 5" WIND KEY AT BOTTOM OF BASE PLAYS THEME SONG " THIS IS HALLOWEEN "
PLAYS THEME SONG "THIS IS HALLOWEEN "
If you have any questions about this product by THE NIGHTMARE BEFORE CHRISTMAS, contact us by completing and submitting the form below. If you are looking for a specif part number, please include it with your message.